This juice was inspired by Quirky Cooking‘s photo on Instagram. We fine tweaked this juice to purple perfection! 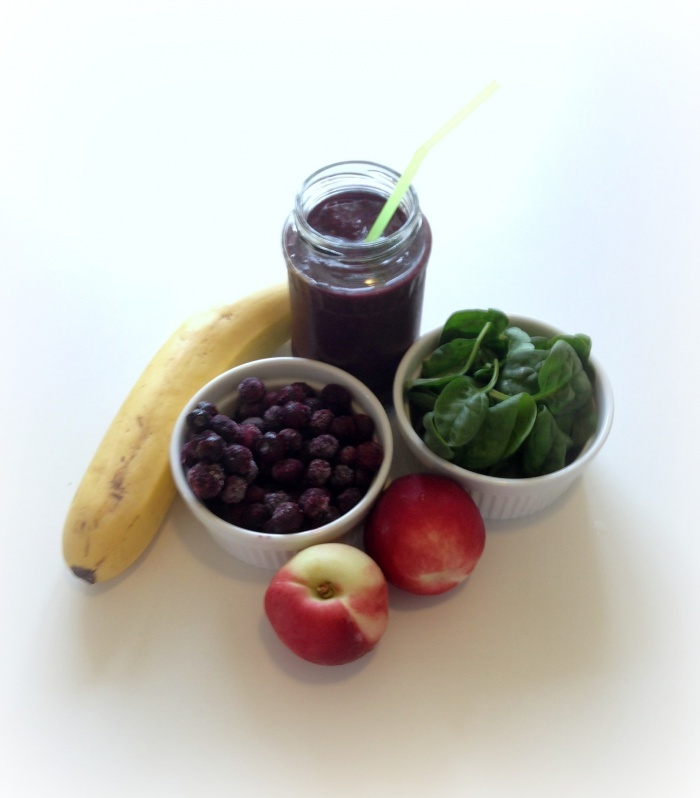 The addition of spinach, keeps this juice ever green and the delicious combination of nectarine, frozen banana and blueberries make for the most marvellous purple colour. It’s purple and it’s pleasing, people! Give it a try! Place everything except the water into TM bowl and chop for 30 seconds on speed 8 . Add water and mix for 2 minutes on speed 8. TIP! The amount of ice and water you use depends on your taste. Remember less water, thicker consistency, more water, thinner consistency.